Hunington Area Food Bank recieves $1,985 donation from Woodforest Charitable Foundation. Photo Caption:Attending the presentation are: (L to R) Gina Skiles, WNB Branch Manager, Hurricane, WV; Tonya Williamson, WNB Branch Manager, Logan, WV; Wade Browning, WNB Branch Manager, Barboursville, WV; Kim Marling, Woodforest Charitable Foundation, Executive Director & Vice President to Erin Highlander, Director of Development, Huntington Area Food Bank; Charles Pollitt, Regional Manager, WNB; Michael White, Senior Vice President, Woodforest National Bank and Mark Miller, WNB Branch Manager, Nitro, WV. 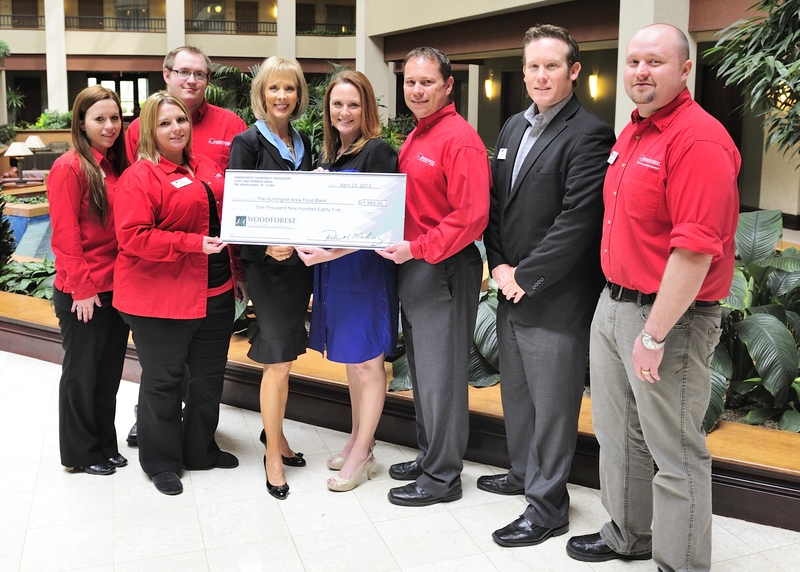 Woodforest Charitable Foundation and West Virginia Managers donate $1,985 to Huntington Area Food Bank.